Icthys, located South West of Darwin, is the largest Australian discovery of hydrocarbons in the past 40 years, and one of the world’s most significant oil and gas projects. The supersized site, led by WA based Inpex, has required a sufficiently mammoth container solution since commencing in 2013. Royal Wolf has been on hand to meet all its needs. Stretching over 10 square KM, the $46billion project has already used 800 containers for offices, lunchrooms, and washing facilities that cater to 8,000 workers. Specialised temperature-controlled storage units for chemicals, paints, sealants and dangerous goods are also present on site, while general containers are needed for standard building materials. Projects of this scale require a team of specialists, and Royal Wolf has worked with a range of contractors for different stages of the development. Engineering company Kentz was the first to benefit from Royal Wolf’s services, requiring high quality, two-story facilities for its staff. These were equipped with amenities of the standard expected in a normal building. 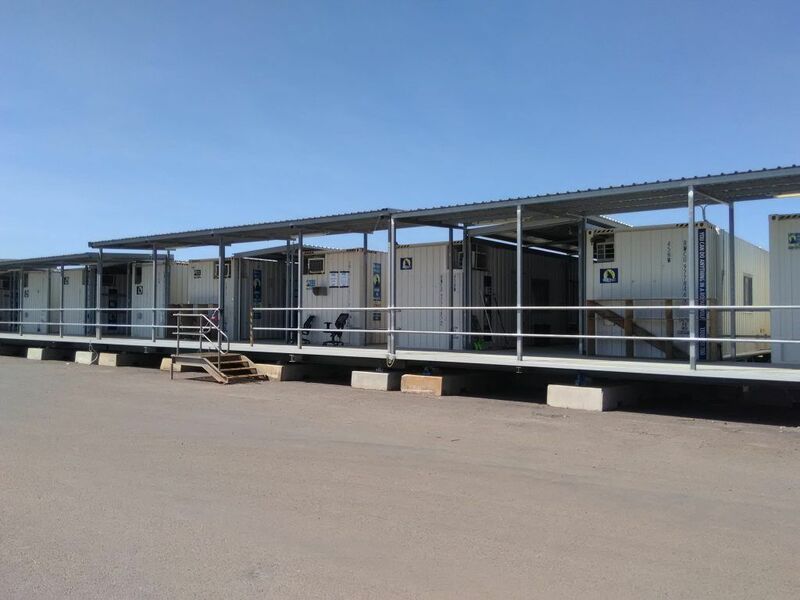 Following Kentz’s stage of the project, specialist construction firm Cape took over the hiring of the containers, which were easily dismantled by Royal Wolf and transported to another location on the 10 square kilometre site. Multiple Royal Wolf delivery trucks ranging from side-loader, tilt and crane transportation methods mean units can be moved rapidly on difficult terrain. Royal Wolf has an unrivalled number of locations across Australasia with 35 branches in total, allowing it to quickly provide container solutions in even the most remote and challenging areas. Its containers are strong, easily transported and adaptable, making them an excellent solution for large scale projects with lots of moving parts. Whether a small business or a multi-billion-dollar energy site, Royal Wolf has the capacity to suit any need.